Despite having four published books and a fifth to be released in May 2015, author Kasie West finds that she still doubts her story ideas every time she sits down to begin a new book. "It’s just the weirdest phenomenon of sitting down and making something up for a living," West laughed. "I'll sit down and those first 50 or 60 pages, I'll tell myself, 'This is the stupidest idea ever' and I have to get over that every time." West said she has a documents folder on her computer containing 20 to 30 different story ideas that she had to put away because she just couldn't get into the idea. "Some times I'll come back to those and think, 'That wasn't so bad, that is actually a cute story.' So I know I'm getting in my head every time," West said. In fact, that is exactly what happened to West's newest release, On The Fence, which will be released July 1, 2014. A year ago, after having written some 100 pages of On The Fence, West began reading Catching Jordan by Miranda Kenneally and it stopped her short. "All the sudden I was like, 'This is my book! Oh no, I can't keep going...everyone is going to think I copied it," West recalled. So she put her tomboy plus boy next-door book aside for a year until one of her friends and Alpha readers asked what happened to it. West pulled it out again, started reading it over and realized that, aside from a few similar generic plot lines, the books were completely different. "We are our own worst enemies when we write," West said. "You just get in your head and things can make you give up so easily. So I went back to it (On The Fence), finished it up, and I love it." West, who has two teenage daughters, admits that having teenage girls in their home has had an impact on her recent writings. "I don't eavesdrop," West said "but I do hear the way she (West's 16 year old daughter) talks, how she reacts to events in her life, and it does help. It influences the way I have some of my characters react and see the world, so it's been nice having a teenage daughter around." But even without teenage daughters, West says she still has vivid memories of her teenage life and of the emotions she felt, which she can draw on. "I remember having my first boyfriend and thinking, 'My life is complete! ', West laughed. "It was powerful because it was the first time I'd ever loved someone that wasn't my parents or my family, so it is a big emotion." West noted that everything is a big deal during the teenage years, "and rightly so. I mean, it's the first time you're experiencing everything... I think even as an adult, if we take our experiences and the emotions we are having now and just make them 100 times more powerful, that is a teenage experience." Helping hone an authentic teen voice isn't the only thing that West's daughters have inspired. West, who has three daughters total, said that it has always been important for her to include strong female characters in her books. "I just want my daughters to know that women are powerful," West said. "We can do whatever we want to do. They can do whatever they want to do. It's important for me to be a good example to my daughters. That is why I try to keep my books clean as well." Despite her emphasis on strong female characters, West said she doesn't take issue with books that portray woman differently. "There are all sorts of personalities in the world, there are woman who aren't as strong, and I think those types of woman can read and relate to those types of books, it's just not what I want to write." On The Fence follows Charlie Reynolds, a tom boy with three older brothers. Her best friend is a boy who lives next door. "I love the boy next-door type books," West said. "Love them, love them, love them. It's one of my favorite tropes, and I never had a boy next door so I don't know why. Maybe I always wanted to have a cute boy that lived next door." West noted that advance readers have said that the family elements of On The Fence have been their favorite. West is one of five children, her husband is one of six, and together they have four children, so having a big, rowdy, loving family is natural for her. "I never even thought for a second that people would love that so much," West said. "So I'm glad that people are loving that, relating to it, and thinking it's a strong part of the book." 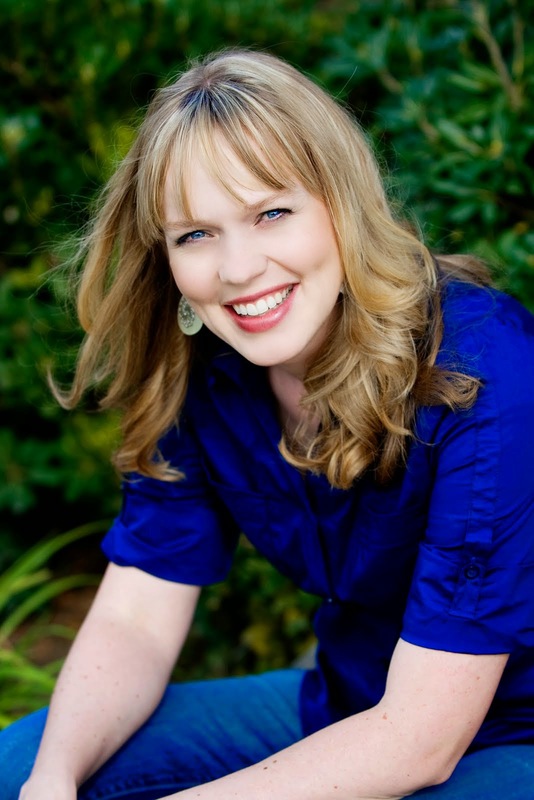 Kasie West will be at the Provo City Library for the 2nd annual Escape Reality Tour on July 2, 2014 at 7 p.m. The panel will include authors: Michelle D. Argyle, Renee Collins, Bree Despain, J.R. Johansson, Kasie West, and Natalie Whipple. The panel will speak, answer audience questions, and sign books. This is free; no tickets required.